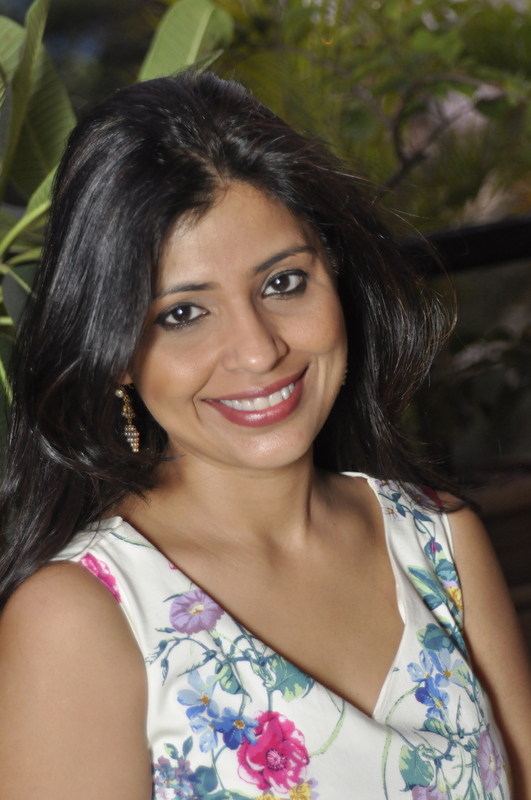 The multi-talented Amrita Chowdhury is currently the Head of Harlequin Books in India. She holds engineering degrees from IIT Kanpur, UC Berkeley and an MBA from Carnegie Mellon University. She holds 7 US patents for semiconductor manufacturing and has done strategy consulting and Board governance in US and Australia.’Faking It’ was her first novel. Breach is a cyber crime thriller. It blends the unique premise of cyber crime, cancer research, medical ethics and IP laws – set in India. Above all, the storytelling traverses the narrow divide between right and wrong, hope and despair, love and heartbreak. tgbc: How did you come upon the idea for Breach? Amrita: Breach is a multi-layered book and the idea for it also came in stages. My publisher and I were debating the idea of writing a book around a college going girl who is always online. I like complex narratives. Cyber Crime is a pertinent issue in India. So I wanted to create a larger plot that touched on both corporate crime and cyber bullying, set in India, of course. The idea of setting it against the backdrop of the theft of cancer research data came about because my mother, who passed away last year, was going through treatments. The march of the disease is relentless, but I was struck as to how much harder it was for many in India who cannot afford costly medication. tgbc: Cyber-crime, clinical trials and other stuff… how did you do your research? Amrita: I started life as an engineer of the wrong type- the nuts and bolts type. So I had to do a lot of reading and research to understand cyber security and tech. I met several hackers, ethical hackers and technology gurus. That said, I am not as daunted by technology as many others so it was easier to absorb. When my mother was first diagnosed, I started poring through every book, article, technical paper on the subject – that was my method of coping with the bewilderment and the grief. I had started reading on the broader subject of cancer – research, treatments, types, clinical trials, medical ethics et al. National Institute of Health in the US has an open library of all the cutting edge medical research and I read a lot of their papers. I met with patent attorneys. To some extent, all of that found a channel in this book and gave me the background to imagine the fictitious drug that’s at the core of Breach. The challenge as a writer is to take all that research but weave it into a fast moving plot, where the details are intrinsic, important but don’t overshadow the story. Because in a book, storytelling comes first and the characters and the emotions they invoke are more important. tgbc: You play many roles…which according to you is the tougher- that of managing other writers or being a writer yourself? Amrita: Managing others is tougher because you are dealing with people’s dreams, desires, emotions and expectations. You have to coach and counsel authors through the process of writing, editing, marketing and increasingly, brand building. Writing is sheer pleasure. It’s my commune, my way of meditation, something I have always found joy in. tgbc: Who is your favorite character in the book? Amrita: I really like Madhu. She is a young girl who is initially cyber bullied and towards the end comes into her own, and finds her own voice and sense of self. I started the story with her, and then everything else was layered around that initial kernel of an idea. She is the girl next door, who we all can identify with. Amrita: Many mentors have helped with Breach – all the hackers, tech experts and medical law experts I spoke with, my friends who read the book at early stages and offered invaluable feedback. tgbc: What do you do when you are facing a writer’s block or looking for inspiration? Amrita: Take a break and come back to the writing. I have too many distractions in any case- from work, children, family, pets, events, television et al. So my writing time fits between all that. So, if I am not being able to write, I don’t get stressed. I go do other fun things. Inspiration strikes when I am not trying too hard. Of course, when I am in the flow and I don’t get enough time to write, I get frustrated. Amrita: I usually write on the weekends. Sometimes, I write in the pre-dawn or late night hours, when the house is quiet. But even when I am not writing, I am constantly thinking about it – so that keeps the continuity going. tgbc: Name one celebrity you want as your book fan. tgbc: Name a book you wish you had written! Amrita: Too many to count! Amrita: I have been mulling on the idea of my next book with my publisher. So hopefully, there won’t be a long gap between books this time around. This entry was posted on December 15, 2014 by Preeti Singh in Interview, Interviews and tagged Amrita Chowdhury, Breach, Faking It, Harlequin India.